The Adaptive Power Systems Electronic Loads cover a wide range of power levels, voltage and current profiles and feature sets. Supported voltages range up to 1250Vdc or 350Vrms AC. From bench to system and DC or AC requirements, we can more than likely offer you the optimal programmable load to meet your needs. 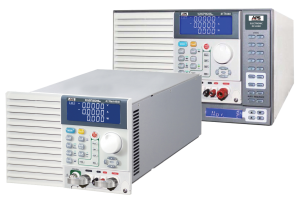 Modular DC loads are ideally suited to test multiple output DC supplies. 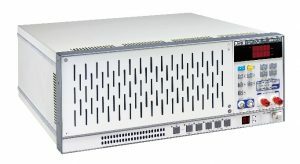 Up to eight load channels can be installed in a single mainframe for up to 1600W per chassis. For LED Lighting, we offer LED simulator load modules as well. 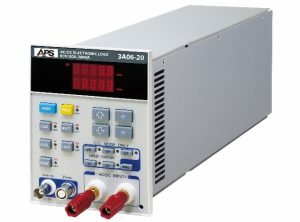 Available new TURBO DC loads support 3x current and power for short periods for overload testing of power supplies. 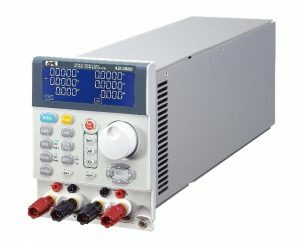 Model 41T Series DC loads are ideally suited to Batteries, Battery Management Systems, solar panels or DC power supplies. Available TURBO mode supports 2x current and power for short periods for overload testing of power supplies. Convenient half-rack width form factor or modular size allows bench use or rack mount. 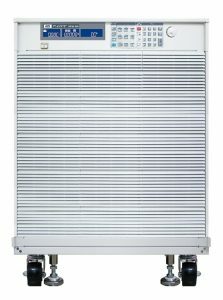 The 5 Series are available as a 19″ rack mount unit up to 1800W or as cabinet systems up to 14400W. All models offer fast current slew capability, dynamic and static operating modes and dual ranges for optimal resolution and accuracy. The 5VPxA Series represent the highest power density DC load systems available today. These floor standing cabinets are easy to move around on casters. All models offer advanced features and flexible V-I operating curves to cover a wide range of applications and can be paralleled for higher power needs. 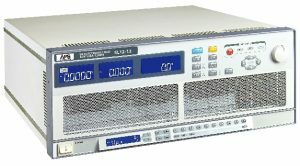 Capable of supporting both AC and DC applications, the 3A Series of modular loads supports testing of UPS, AC Sources, DAC’s and other AC products. Variable Crest Factor and Power Factor settings support real world AC testing. With 300VA per module and four slots per mainframe, up to 1200VA is available at a time. Capable of supporting both AC and DC applications, the 3B Series of AC & DC loads supports testing of high power UPS, AC Sources and inverter products. Variable Crest Factor and Power Factor settings support real world AC testing. Models range from 1800VA per chassis to cabinet systems up to 12.6kVA. Also see new 3C Series. Capable of supporting both AC and DC applications, the all new 3C Series of AC & DC loads supports testing of high power UPS, AC Sources and inverter products. Variable Crest Factor and Power Factor settings support real world AC testing. Available power levels are 1875VA/W, 2800VA/W and 3750VA/W per chassis. 3C loads can be paralleled using a Master/Slave mode to 22,500VA/W.